This is a breathtaking stone. 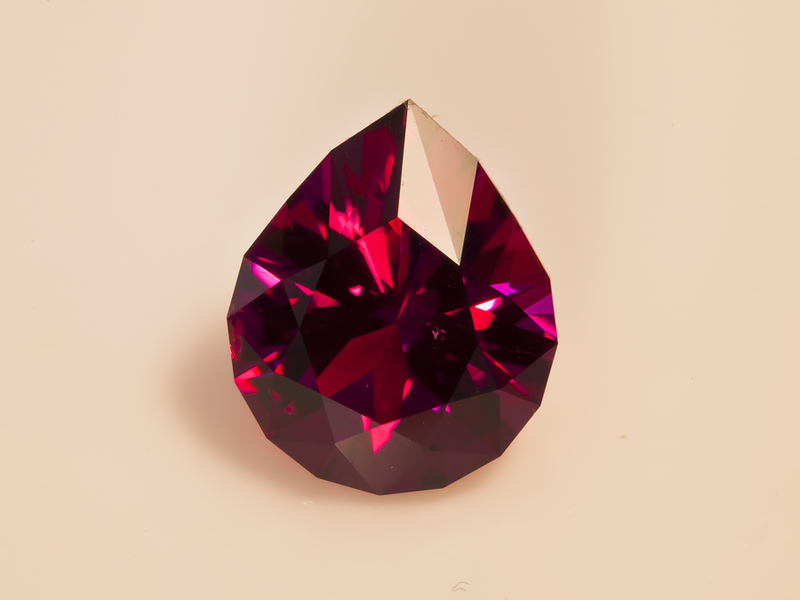 Cut in a pleasing pear shape the hot pink and red colour is complimented with bright purple flashes. This stone was mined in Nigeria in 2008, there are a few feathers and veils, including one visible in the photograph, however none are visible with the unaided eye and the stone sparkles in all lights.